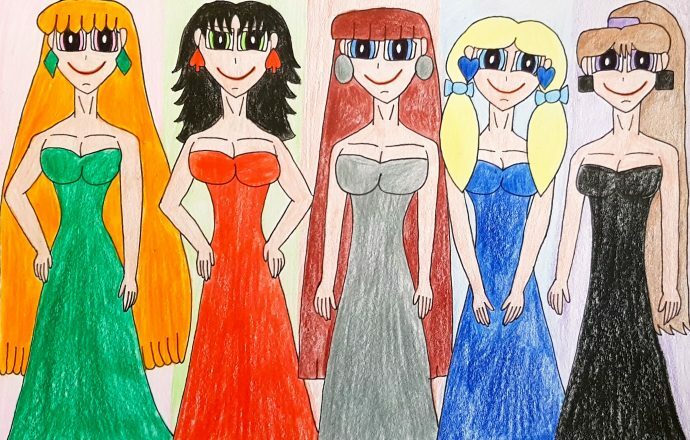 This piece of Blossom, Buttercup, Robin, Bubbles, and Bunny fan art is dedicated to Lilly aka lilithkiss00 who celebrated her birthday two days ago. So, Lilly, I hope you had a magnificent, exceptional, elegant, and grand birthday. I wish you a lot of love, joy, abundance, and beauty in your life as an artist and as a person. Como se dice en español, espero que hayas tenido un cumpleaños magnifico, excepcional, elegante y grande. Te deseo mucho amor, alegría, abundancia y belleza en tu vida como artista y persona. With that said, I hope you all can sit back, relax and enjoy the sight of Blossom, Buttercup, Robin, Bubbles, and Bunny looking as gorgeous as ever. 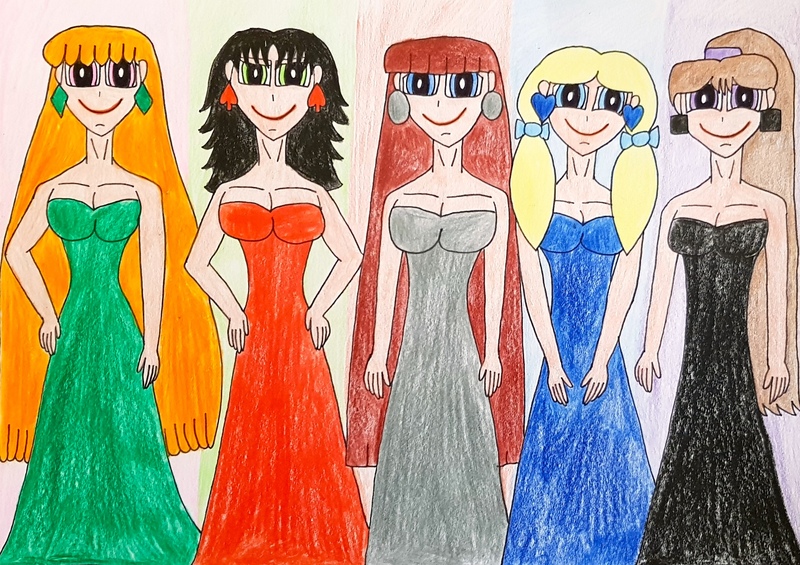 My dear gal pals, family members, and fellow artists, actresses, filmmakers, artists, singers, and voice actresses, I hope you all had a wonderful International Women’s Day yesterday, as I present to you Townsville’s very own electric ladies, 26-year-olds Blossom, Buttercup, and Robin, and 25-year-olds Bubbles and Bunny dressed up to the nines and being the elegant beauties that they are. To make this a little bit more fun, especially to my fellow shippers, take a good, long look at their gowns and their earrings and tell me in the comments below who their dashing husbands are and who I mainly pair these lovely ladies with until the end of time. I hope you all enjoyed this and don’t forget to let me know in the comments below who I ship these gorgeous ladies with. See you all in the next submission and, once again, belated Happy International Women’s Day.